Heather J. Rhoades is a Principal in Cummings & Lockwood's Private Clients Group and is Partner In Charge of the West Hartford office. 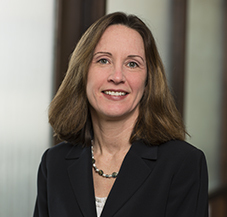 Heather joined the Firm in 1999 and she practices in the areas of estate planning, estate settlement, trust administration and charitable planning. Heather is a member of the Firm's National Charitable Planning Group.